Find out what it's worth. Just because your house was once worth a certain amount doesn’t mean it will keep that value. For many years, homes increased or at least held their value. After 2008, the real estate market was turned upside down -- the same position in which many homeowners found themselves. Even if your house is the nicest and most updated one on the block, it doesn’t mean it’s worth what you think it should be. There are better ways to determine how much a house is worth than by figuring how much you paid for and put into it. Determine the comps on your home — what other homes have sold for in your area that are comparable to yours. Consider square footage, the home’s age, number of bedrooms and bathrooms, the type of heating and cooling system used and the size of the lot. Note the condition of your home. Attend open houses to see comparable homes’ selling prices. Your county might keep sales records that you can find online. You might also get sales information from a title company or realtor. Use the cost method. You would figure what it would cost to replace the property. This involves determining building costs, including labor and the cost of materials. Ask a contractor what he would charge you per square foot to build a home similar to yours in your area. This figure gives you the value of a brand-new home. Deduct a suitable amount for the current condition of your home. The cost method is more accurate when the home is newer. This method can also be used when comps are difficult to find because the home might be unusual. 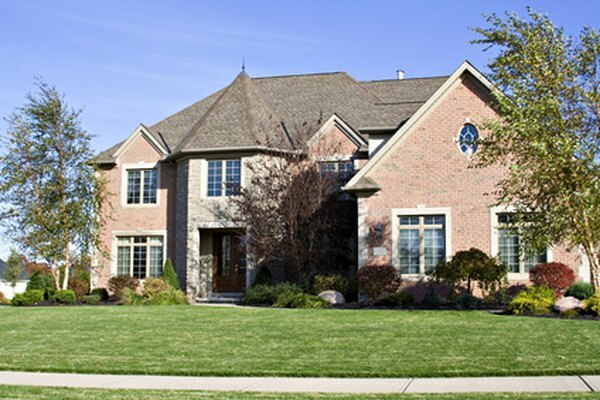 Determine what homes comparable to yours in your area rent for. Use a price/rent ratio to run the numbers. This method gives you extra insight by allowing you to focus on rental rates as another way to determine value. The long-term average housing price/rent ratio is 16, according to Moody'sEconomy.com in a Bankrate.com article. If the housing price/rent ratio is more than 16, you’re probably valuing your house too high. If it’s lower than 16, you’re valuing the home too low. Calculate by dividing the total yearly rent amount by the price of the house. For example, if comparable homes to yours rent for $1,400 a month, that’s $16,800 a year. This house is worth around $275,000. If you want to sell a house in a down housing market, avoid major improvements, such as remodeling the kitchen or bath, according to Bankrate.com. Instead de-clutter, clean and hire a stager to show the house in its best light. Many foreclosures in one area will bring down the value of your home. Foreclosed homes often are in a state of disrepair. They typically sell for less than a non-foreclosure would, and they add to the supply of homes on the market, which also drives down prices.